I recently took my wife to see Mary Keen’s garden on one of her very limited open days but, I have to confess, we were a bit disappointed. The beautiful old rectory in the tiny hamlet of Duntisbourne Rous near Cirencester is an idyllic setting for a classic country garden which Mary herself describes in this month’s The Garden magazine as “a bit on the wild side” and “more about atmosphere – a place to be, not one to impress.” I agree entirely, we were certainly not impressed. 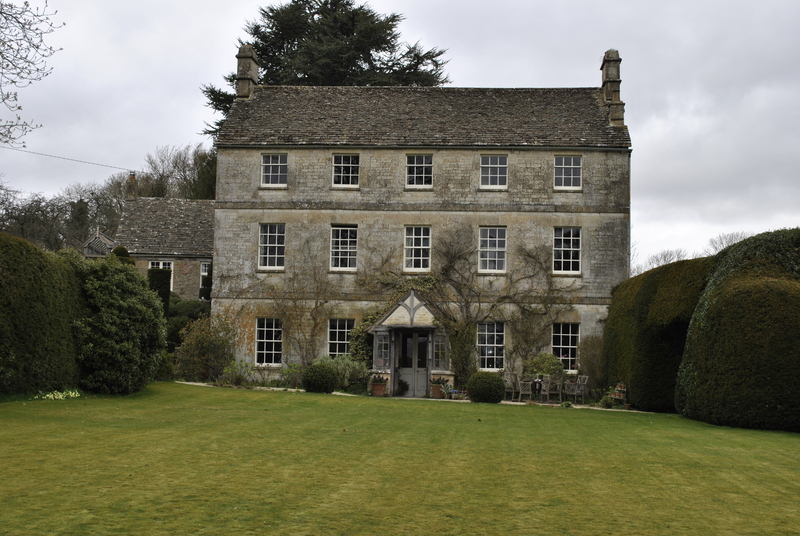 It is not for me to suggest that any garden, particularly one which is owned by an eminent gardening journalist and author is not up to the mark. I have no right to say that. However, I do have the right to speak as I find and, in our opinion, it was a waste of £10 on 22 April when we visited under the auspices of the National Gardens Scheme. Mary Keen herself was there and I fully expected her to apologise for the lack of interest but she didn’t . In fact, apart from a few bulbs and woodland anemones which were going over it was all very green and boring. Even the green was disappointing. I have never seen a lawn so full of moss. My wife, who is far more balanced and forgiving than myself, said she found the garden “rather unkempt” which I think is an accurate description. If I say that the highlight for me was the compost heap, it might put the visit into perspective. I don’t think the garden should have been open for paying guests. I suspect that the opening dates were agreed last year in order to meet copy deadlines for The Yellow Book and had not been altered in spite of the appalling spring weather which has delayed everything by at least a month. It just shows that gardening must be flexible and adapt to the conditions, and opening a garden with very little to see or impress is a waste of people’s time and money. It does no-one any favours and, in fact, does the garden owner and the National Gardens Scheme a disservice. Having said that, I liked the Auricula theatre in the old outside loo, as featured in the Daily Telegraph 4 years ago by Sarah Raven, though there were was not a single flower open. I am sure they were intended to be a wonderful feature and probably would have been in any ‘normal’ year. I also admired the climbing path to the old schoolhouse where the tea and coffee was ‘available’ rather than served, something else which irked us. Sorry about the moan but I had to get it off my chest! This entry was posted in Open Gardens and tagged Mary Keen, National Garden Scheme, Yellow Book by davidsgardendiary. Bookmark the permalink. Oh dear that ddoes sound disappointing though I wonder if you would have been less disappointed if it had been owned by someone else. I think it must be hard to predict opening dates especially for those gardens which open outside of high summer though I have had auriculas in flower for about a month or more. I like the series of small pots with something in it in the above picture. Then you would be amazed at a proper Victorian one with baize and mirrors to make it look like a theatre rather than some planking with pots on..
Dear David I wish you had found me to air your grievances. You could have had your money back and I would have given your £10 to the NGS for you . Our last open day was at the end of April, when the sun for once shone and most of the 94 people who came took the trouble to find me and tell me what they had enjoyed. The anemones you didn’t admire are anemone blanda- not nemorosa the wood anemone. I cant take my eyes off them when they are out and I go down several times a day to worship them. 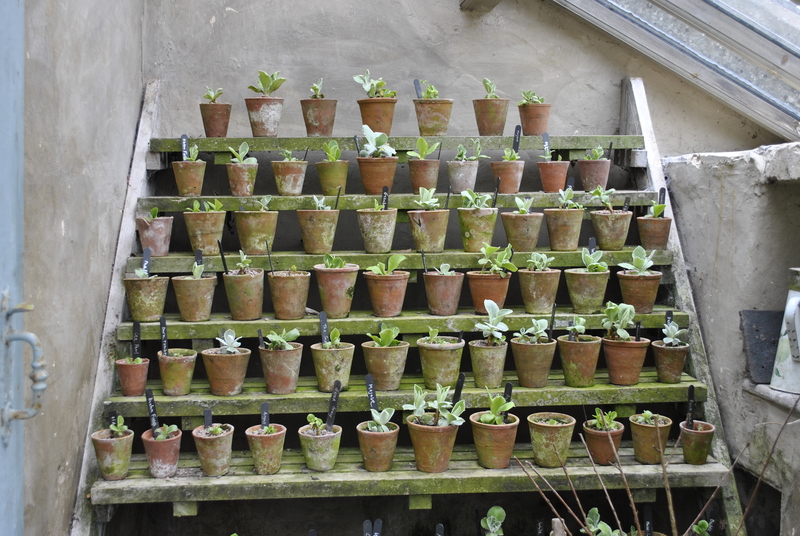 All gardeners have had a difficult winter and like everyone my plants, especially auriculas- were behind. It may also be worth adding that we are all different and that had I visited your garden, which is pictured on this blog, I might have been disappointed as your very rigorous approach is what I have always deliberately tried to avoid. I think it alienates others who are daunted by gardening. Some of my favourite places are allotments ( never tidy) Come again and we can discuss it and I will also write at more length about your views in either the Telegraph or the Garden. best wishes Mary K.
I was both pleased and surprised that you responded to my blog post. It is not every day a humble suburban garden blogger gets to communicate with the current doyenne of gardening royalty and it gives me the chance to explain my thoughts more fully which I hope you will read and may even find useful. First of all, let me assure you that this was not about money. You seem to believe that my gripe was due to the £5 per head we ‘donated’. This is not the case. I only mentioned the cost as a means of emphasising our disappointment. I am happy that the NGS benefited from our visit and applaud you for opening. The NGS is a very worthwhile charity and, like many people these days, we donate freely to those causes we respect. This difference of opinion, for that is all it is, seems to be largely a matter of our expectations not being met. This is not the first time we have encountered a similar problem on open garden visits. For the most part, they are usually in tip-top order, preened and plumped without a weed in sight. The garden owner, there to receive the plaudits and praise, glowing with pride but looking exhausted having worked tirelessly in the preceding weeks and months to ensure perfection on the day. Far from alienating others with this ‘rigorous’ approach, I would say it is actually the norm and what visitors expect. To me and other enthusiastic amateurs, garden visiting is all about being able to relate; to the design, the style, the plants, the features, and to be impressed, possibly envious and ‘wowed’ by the experience. Sadly, none of this applied on the day we visited your garden. It is not that we don’t appreciate the wilder “atmospheric” style, but we expect there to be more than just that….a reason for opening. As I said in my post, I fully understand and appreciate the dilemma of setting opening dates far in advance for The Yellow Book and appreciate that it has been a difficult winter, but it is nevertheless a fact that people often travel long distances at great expense only to be disappointed. I must have been the one out of 94 people you mention who turned up on 22 April and didn’t tell you what they enjoyed. I am sorry about that but I found little to enjoy. Please feel free to write whatever you want in the press but please don’t ridicule my thought and comments. They are spoken honestly and truthfully and reflect what we saw on the day and the way we felt after the visit. I notice that you are open again on 15 July. If we are still welcome, we will make a point of coming along. do come but the critical thing to read is ‘what matters here’ which was on table in schoolroom and at the porch. I really mean it when I say I find tidiness alienating. We are all different you wouldn’t compare a Picasso with a Victorian watercolour and I think the only thing that matters in any art form ( which gardens are) is that you set out to deliver what you have said you are aiming at. And that you are judged on that, rather than by some absolute standard. High horticulture has never been my priority. Do make yourself known when you come – if you do. You’re breaking the rules. Everyone says and thinks these things – but in secret. Thank you very much for your comment. Another unexpected surprise! I have considerably less at stake than writers and horticulturists who make their living at it and I am old enough to speak as I find. If I get poor service I will complain and if my expectations are not met I will make the point to the person responsible. In this way I (perhaps naively) believe I can make a difference and get things to improve for others. Garden visiting has become a pleasant retirement pastime and helps me to learn and evaluate different styles of gardening and admire wonderful planting schemes. The more I see the more I learn, and the more I learn the easier it becomes to make an informed judgement. Like most reasonably intelligent people I know what I like; I don’t need others to tell me what I should like or that I must judge something by their rules. It usually either works or it doesn’t. I went to this garden with a group of Cottage Gardeners from Ross by special arrangement in June last year. The majority were disappointed, only a couple liked the ‘wildness’ of it all. We also went to the Laskett around the same time. Similar reaction. Have you been there? I can only say that Mary Keen’s garden is definitely not for everyone. The ‘wildness’ was not to my taste either. I think there is a big difference between ‘wildness’ and ‘untidiness’. I went again in July and it was better but not great. Why anyone would let their rhubarb and radishes go to seed is beyond me! No, I haven’t been to Laskett yet. 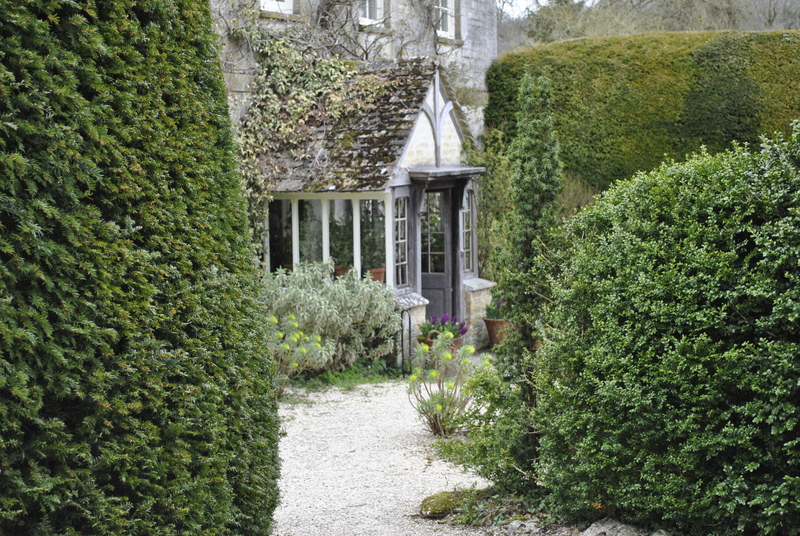 Having seen snippets of things by Sir Roy Strong and his garden it is not a priority, although his presentation of Hidcote Manor on TV recently was good. Funny how gardening brings out very different views. I went to Kiftsgate and came away luke-warm despite rave reviews. I thought it was courageous of you to write your post. I don’t have a copy of this year’s Yellow Book, but reading Mary’s entry for last year is interesting. As with many entries (which the owners write themselves) she has “bigged” the garden up by her references to the many articles that have been written about it and by using her name again in her description. Clearly intended to pull in the crowds an, and, of course, nothing wrong with that. But it occurs to me that perhaps the expectations are all the greater for the garden belonging to celebrity. This usually means that visitors are even more enthusiastic, so it is interesting that this was not the case for you. But the other thing that Mary says is that the garden is “designed for atmosphere”. Of course it is difficult to know what this means but to take her at her word about how she would then want visitors to judge (if she wants judgement at all) is whether you thought it indeed did have “atmosphere”. I think I might have taken exception to being referred to as a spy, in the context of an open day. Poor Mary! She clearly doesn’t like any criticism. Unfortunately, there are many visitors to her garden who feel underwhelmed by her efforts. As for the ‘atmospheric style’, as opposed to being rigorous, I think she’s being a tad disingenuous, since in her own biog, in the Telegraph, she states that ‘as a designer….. in partnership with Pip Morrison. Imposing displays interest them less than creating atmosphere’. The post itself and the toes trodden on in the comments. Maybe I ought to open to the NGS, as my garden must be a twin to the one you describe. It disappoints and delights in equal measure, but it saves my back and my sanity. I call it a matrix garden after a book i read once, but I would not have the gall to show it off to anybody. I admire Ms Keen for her writing style, and wish it had been her to collaborate with Piet Oudolf in his many books instead of the verbally challenged [ in my eyes only I suspect] Mr. N. King. I shall now get up to date with your blog. Thanks for the fun on this rainy October planting day. Thanks for your comment Petal Pics (nice blog by the way!). It is always a dangerous thing to criticise someone else’s work, particularly when it is an acknowledged expert, but sometimes you just have to speak as you find. It rattled a cage or two but that is how healthy debate often begins. Sometimes you can just be too close to see the wood for the trees! The Emperor’s new clothes are on display it would seem. These so called experts are only so called by the rest of their clique I feel. So many ‘Ladys’ in the ranks that you may wonder how mere mortals can ever make a living creating gardens, it really is an awful reflection on the current state of English garden design that the most prestigious projects are doled out by committee and the aristocracy in so many cases to such a limited, in all senses, few. 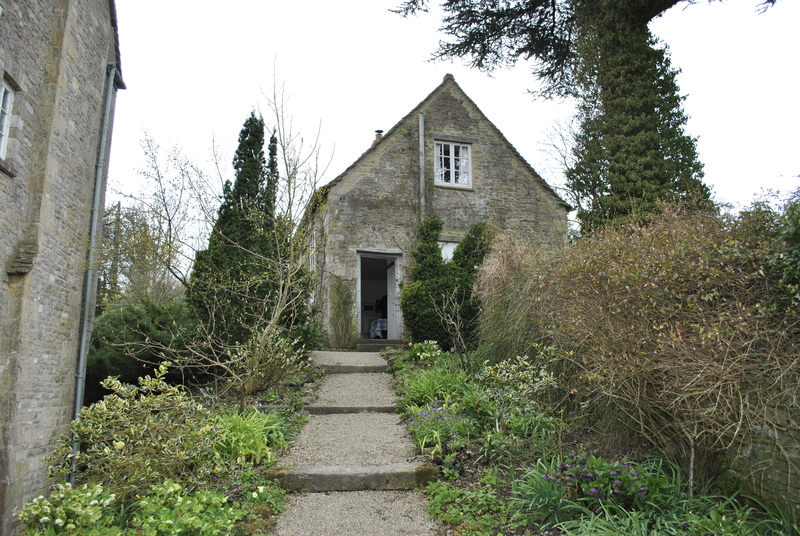 It is a few years since I was shown around Mary’s garden, and it was only out of politeness that comments about its general scruffiness and air of controlled dereliction were kept to ourselves. Usually a designers garden is the acme of their work, if you like ,a showcase and masterpiece, but in this case without the glorious natural setting it would be a very poorly conceived and maintained example indeed. Hi Michael and thanks for your comment. The Emperor’s New Clothes is exactly how I felt about this garden. I couldn’t understand why nobody could see what I saw and why they had been so taken in by the hype. Let’s say this wasn’t Mary Keen’s garden and just another garden open for the NGS, I am convinced there would have been complaints to the county organiser that there was little or nothing to see and no attempt had been made to prepare the garden for opening. It was just another day in the life of a rather ordinary and scruffy garden. However, who would dare to criticise the great Mary Keen. Only me it would seem! Thank you for your time David, it is appreciated. Lese majeste is a dangerous offence, punishable by being stabbed in the back in the Telegraph. Garden design , as stated, is a form of art, but it is painting by numbers without the requisite horticultural skill to produce the masterpiece. Ha ha! 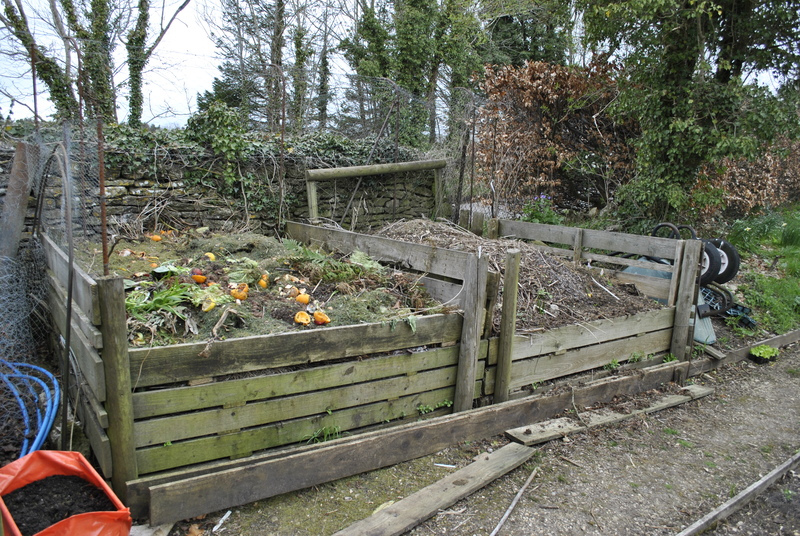 The compost heap is always a highlight for me! It always feel like looking in their kitchen cupboards!